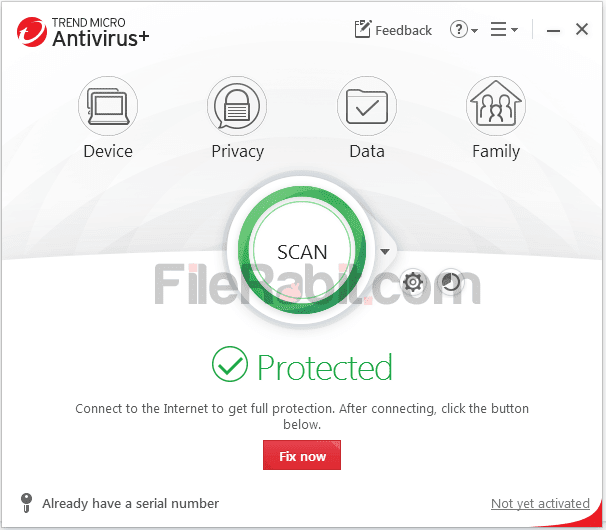 Trend Micro Antivirus gives ultimate and realtime protection to defend user data, privacy and credential information from hackers and attackers. The smart engine is always monitoring input, output devices as well as firewall to control and block suspicious activities. Since the internet comes common for everyone, there are huge risks of attacking viruses and spyware attacks. These attacks will always hurt user internal information including data, files, documents, credential information and more. Every computer is facing millions of virus attacks on daily basis so there is only antivirus software that will keep your computer safe and healthy. However, the product is especially designed for both office and business purposes. 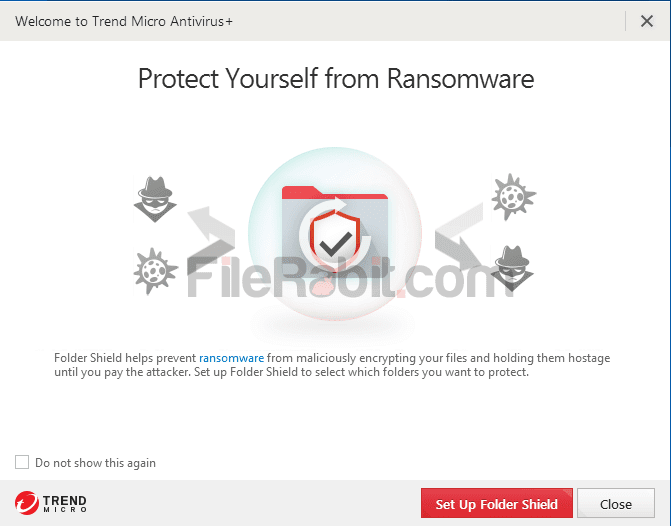 Trend Micro Antivirus+ has anti-ransomware feature that will prevent malware threats and safeguard your PC. It will also block unauthorized access to personal documents, encrypt programs and keep your information away from seekers. The intelligent virus detection engine will detect and hunt viruses, spyware, malware, Trojans, worms, suspicious auto-runs and malicious files as well. 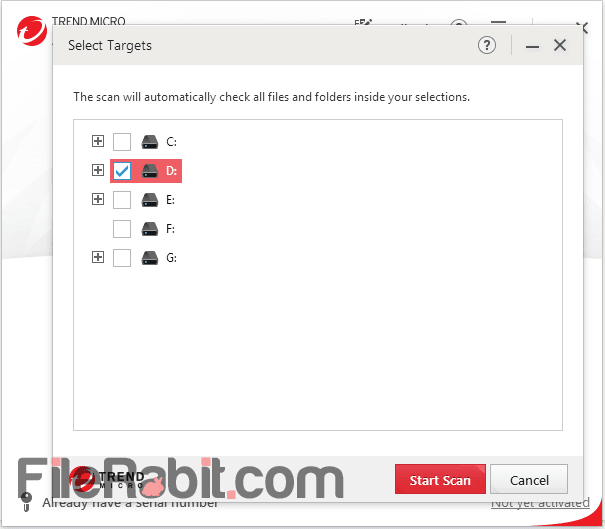 Furthermore, the antivirus has 3 different scan options such as Quick, Full and Custom scan. Quick scan will be run automatically upon windows startup to check threats running in system memory. Full scan will cover all hard disk drives including windows installation directories and custom scan will caught bad things from USB flash drives as well as removable media.